Purple Asparagus Hosts Purple By Night April 22 - Solstice Communications, Inc.
Purple By Night is a fundraising evening in support of Purple Asparagus, the award-winning nonprofit that educates children, families and the community about eating that’s good for the body and the planet. Hosted at The Ivy Room on Sunday, April 22, Purple by Night is an annual fundraiser and celebration that features delicious food and drinks provided by Candid Wines, Beam Suntory, and Lagunitas Brewing Company. The night also includes a silent auction to benefit Purple Asparagus’ flagship program: Delicious Nutritious Adventures. The evening will be emceed by NBC 5 Chicago sports anchor Siafa Lewis. In addition, Purple Asparagus will honor its 2018 Star Spear, Bess Celio of the Lumpkin Family Foundation. During the 2016-17 school year Purple Asparagus delivered its nine-month nutrition education program, Delicious Nutritious Adventures, to 14 Chicago Public Schools serving over 1,000 students. Purple Asparagus believes that every child should have the chance to discover new, wholesome foods and experience the excitement of growth and exploration around food. Tickets are $95 in advance, or $105 at the door (if available) and can be purchased here. For more information about the event, visit www.purplebynight.com or the facebook event page. Siafa Lewis joined the NBC 5 sports team in May 2014, as weekend anchor and reporter. He also co-hosts Sports Sunday and Quest for the Cup. 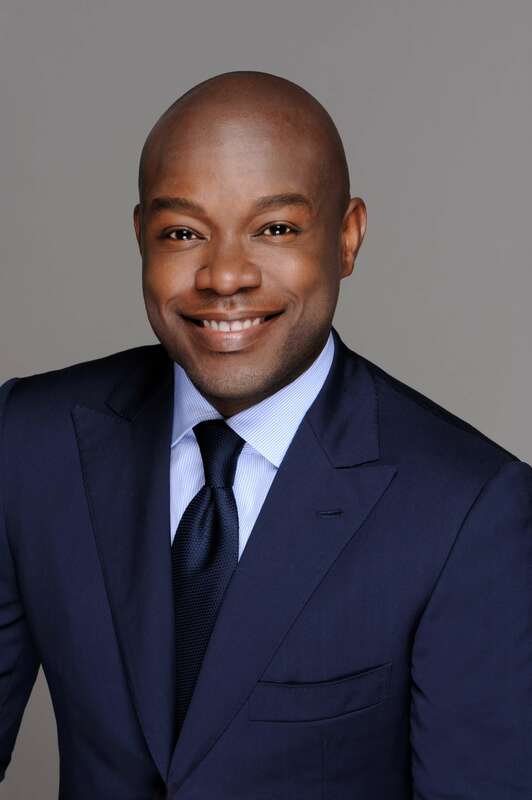 Prior to his move to NBC 5, Lewis worked for the NBC affiliate in New York. He anchored sports and earned three Emmy nominations in NYC for On-camera Talent. Lewis graduated with B.A. in Radio, Television and Film from Rowan University in Glassboro, NJ, a suburb of Philadelphia. A member of Alpha Phi Alpha Fraternity, Inc, Lewis loves working with and mentoring youth. Founded in 2005, Purple Asparagus is a 501(c)(3) non-profit corporation that educates children, families, and the community about good eating for the body and the planet. Purple Asparagus believes that all children and families deserve good health and a healthy planet and that the good health of both is promoted by eating a diet high in produce. Purple Asparagus is a certified food and fitness provider for Chicago Public Schools. The organization was also a key partner in Chicago Chefs “Move to Schools” program of the White House’s “Let’s Move” initiative, received the International Association of Culinary Professionals Culinary Youth Advocate of the Year award in 2012, and was named one of the top 15 Crusaders of Health in the Food Industry on Greatist.com. In addition, founder Melissa Graham received a 2011 Good Eating Award and was included in New City’s Big Heat 2015 and 2017 as one of the dining and drinking cultural leaders of Chicago. For more information about the event and Purple Asparagus, visit www.purpleasparagus.com.